CHARLOTTESVILLE, VA. March 28, 2014 – SHINE Systems & Technologies is featured as a Virginia Business Leader in a special release of the March edition (Billionaires; 28th Annual Guide to the World’s Richest People) of Forbes Magazine. SHINE Systems is one of only seven Virginia businesses profiled in this edition. 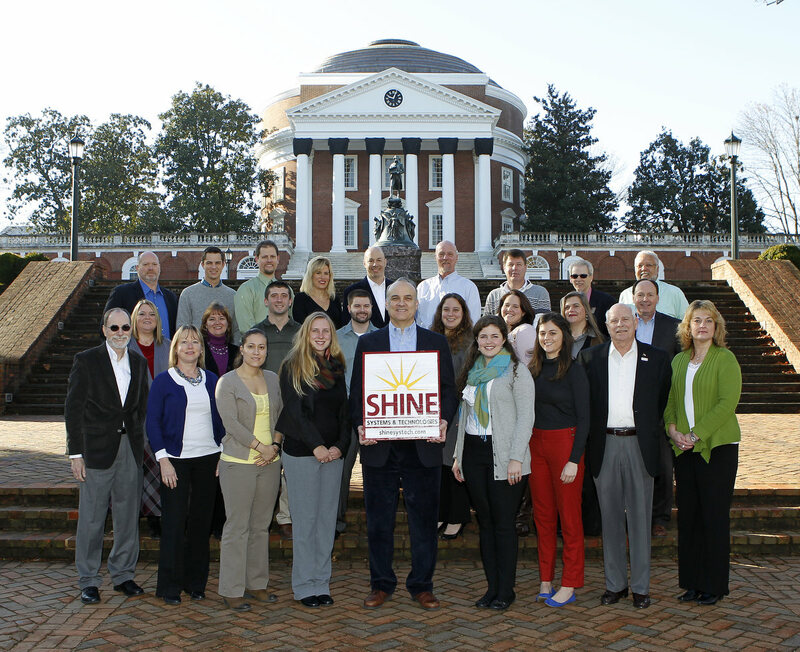 SHINE’s Headquarters & Shenandoah Staff pose in front of The University of Virginia’s famous Thomas Jefferson Rotunda in Charlottesville, VA.
SHINE’s law enforcement and intelligence capabilities are featured, with specific emphasis placed on applying these capabilities to private sectors. In addition to outlining SHINE’s capabilities, the feature also lists SHINE’s many achievements awarded in 2013. As a tribute to our headquarters based in Charlottesville, the feature photograph was taken outside of the Rotunda on the University of Virginia’s campus, which reflects the pervasive roles innovation and creative thinking have played in our professional environment in Charlottesville and throughout SHINE Systems.